› SOUVENIRS › Key Chains › WD144KR-?? These locations are regularly in stock. No lead time needed for most orders. 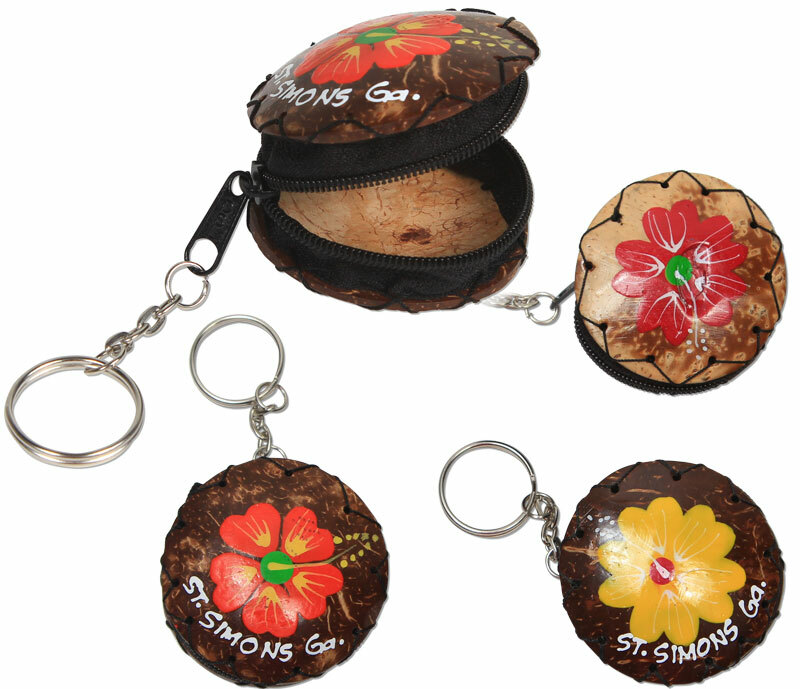 Hand painted coco coin purse/pill box key rings with custom, or some places stock name drops.